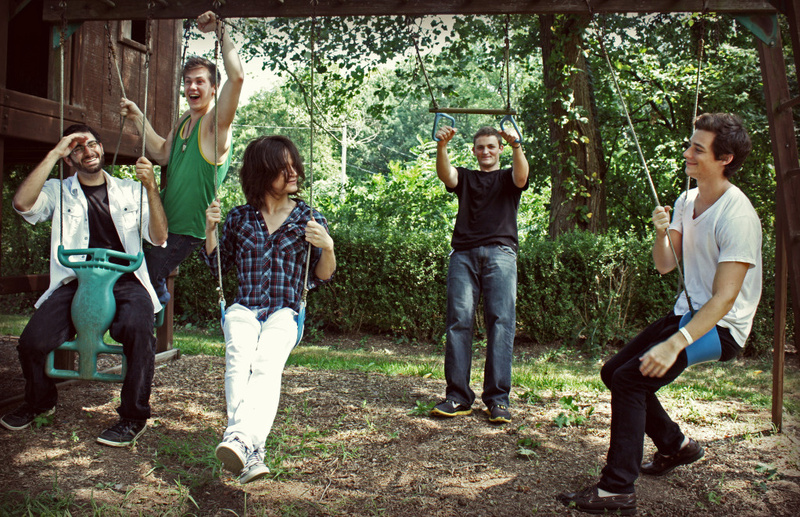 Airacuda is an NJ based alternative rock band tearing it up all over Massachusetts. Having met at the Berklee College of Music in Boston, the group formed in 2011 and released their first self-titled album produced and mixed by Dom Morley in December of 2012. It is available for purchase and streaming here: https://airacuda.bandcamp.com/album/airacuda. Airacuda is composed of members Eddie Takumi Ruddick on bass, backing vocals, keyboards & violin, Matt Fernicola on guitar, Matt Menges doing vocals, rhythm guitar & keyboards, Roland Greco holding down the back line on drums and Phil Marphlak on guitar& bass. Airacuda’s sound gels really nicely without being messy and overcomplicated. It has the steady roll that defines rock n’ roll while the music is rounded out with the bands own touch of alternative spice. I appreciate the level of musicianship coming together in this band because they do not need much adornment or technical help to create an engaging and enjoyable sound. It reminds me of something that may be categorized as easy listening, but with much more backbone and style. The players are solid and the lead vocal melodies are defined by colorful tones. I look forward to seeing the evolution of their sound and what direction the music takes.